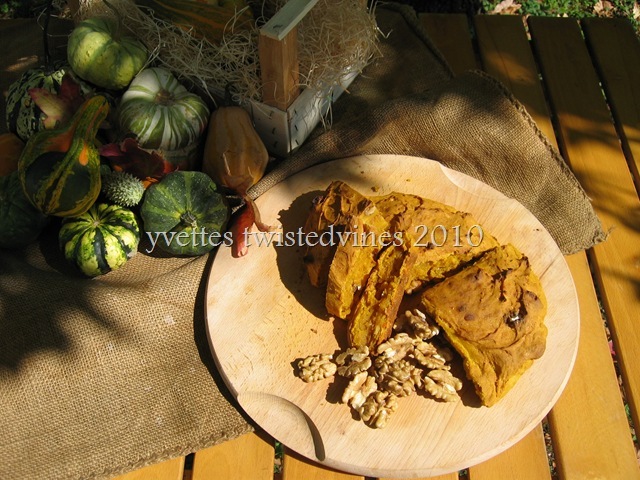 With all these wonderful warming hues, I couldn’t resist buying some fresh butternut pumpkin and making this recipe of pumpkin and walnut damper. This recipe is one of our favourites, piping hot with a little melted butter. The original recipe is for a covered barbecue but works well in a hot conventional oven. Line a 20cm round cake pan with oven proof paper. Place in a mixing bowl,sifted flour and rub in butter.Sir in nuts, pumpkin and enough yogurt to mix to a soft ,sticky dough. Turn dough onto floured surface,knead until smooth.Place into prepared pan and cook in high oven for about 30 minutes or until damper sounds hollow when tapped. The outside layer should be crusty. This damper isn’t bread so the texture isn’t light, but delicious the same.Serve on it’s own or a great compliment with cheeses, dried fruits and nuts.Tasty-! Have a look at A Beautiful Mess, pizza it is…and Beauty and Bedlam. who host Tasty Tuesday’s a great way to bloghop, and catch up with some of the recipes and favourites around our world. I’ve never heard of “damper” but it looks delicious. Hi Barb, Damper is all “Australian”..developed by stockman on their long away from home runs, using the coals of their campfires to make this style of bread.Modern tech here though…not too many ingredients…or kneading needed..yummy all the same!Thanks for calling by. Thanks for introducing me to something new. It looks beautiful. Love the pics. And anything pumpking is perfect this time of year. So glad you linked it up. 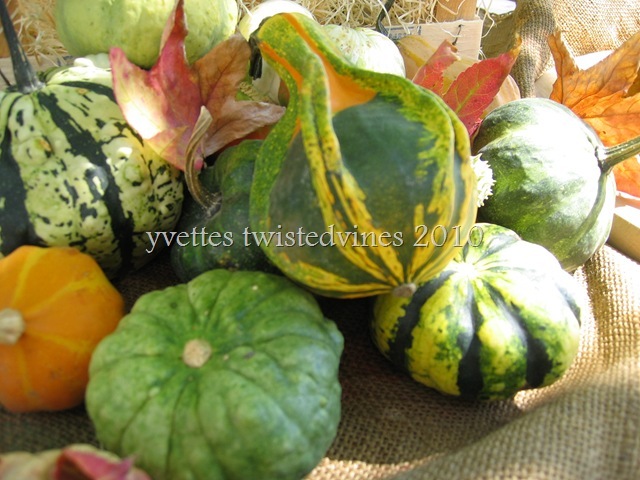 Pumpkins are in my life at the moment, and I adore the ornamentals with their bright orange hues…Always a fun day with Tasty Tuesdays…Thanks! 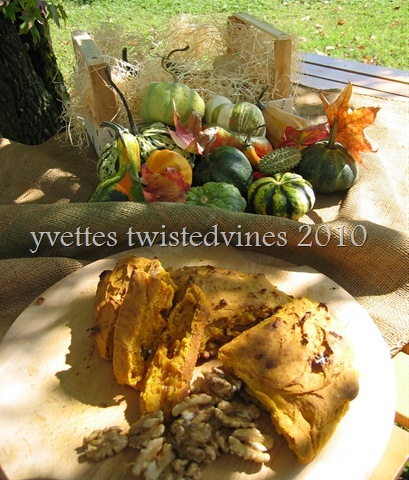 Those little pumpkins are gorgeous with all their colours….damper looks good too Yvette. I haven’t had damper for years! Brydie,gorgeous aren’t they…I love decorating my entrance to the house as well and these are a warming welcome! Ready for October! That looks and sounds delicious, and thos photos are gorgeous! If my girl ate pumpkin anyway other than roasted I would definitely be giving this a try (otherwise I would have to eat it all myself LOL). 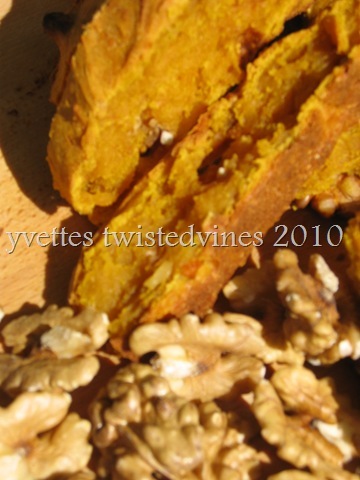 I’ve been cruising food related blogs lately and, my oh my, did this one catch my eye. I’m making this over the weekend and I could not be more excited to enjoy the results. Will I share or will I bludgeon the friends to try to take the deliciousness from me? Only time will tell. Damper looks so delicious! I love pumpkin. 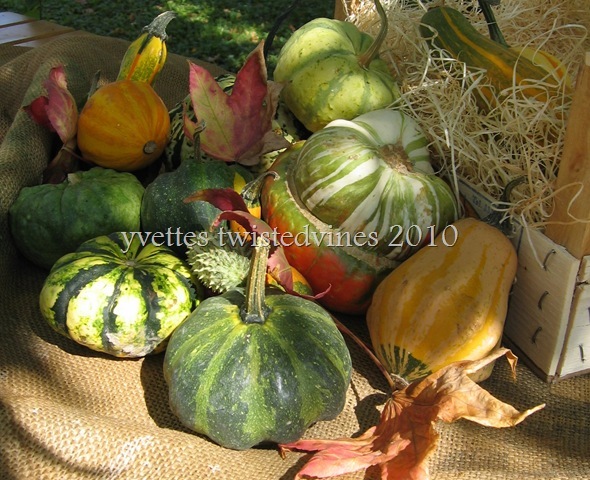 Your blog is full of great recipes and photos of delicious foods. I followed a link from Amanda’s blog, Buttercup600.wordpress.com. Thank you for sharing your recipes.